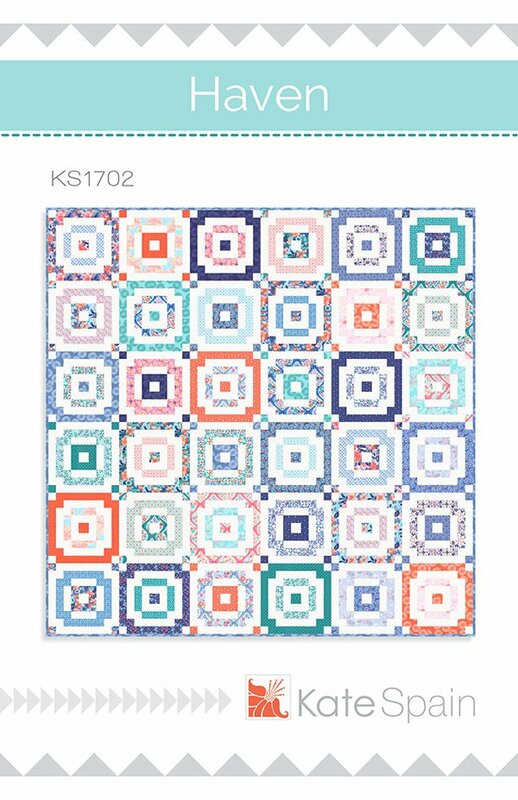 Haven Quilt Pattern by Kate Spain KS1702. Quilt Size 85" x 85" featuring Voyage fabric collection. Fat Quarter friendly.